I love seeing artworks in restaurants and murals are just some of the thing we can also marvel at inside common dining establishments nowadays. But more than that, what I fancy is how they put art in the menu. Because that is really possible and this blog have proved that countless times. BF Homes- Aguirre is not new to this kind of players. 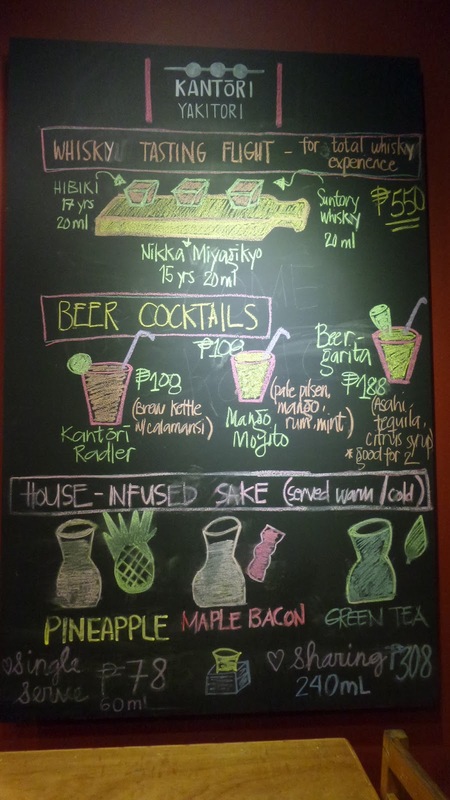 A group of friends, a chef, mixologist and businessman had transformed a meager lot into a quaint tambayan for a fusion of street food and Japanese food, paired with craft beer and unique cocktail mixes. 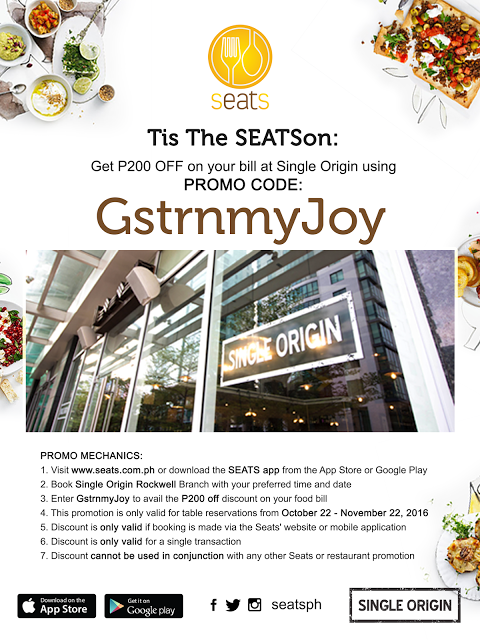 I'm telling you, you won't go wrong with this resto, though seating cn sometimes be a struggle as many have considered the place their community hangout, that even the al fresco seating may usually be full. 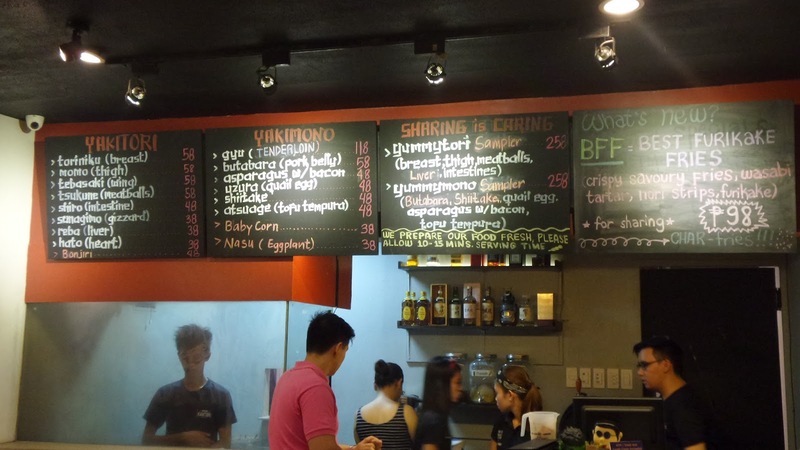 More than the vibe and the inventive take on the grubs, everything is priced affordably. I never liked beer, or any cocktails, but I somehow kinda liked what we had - Mango Mojito. A classic example of their beer cocktails. 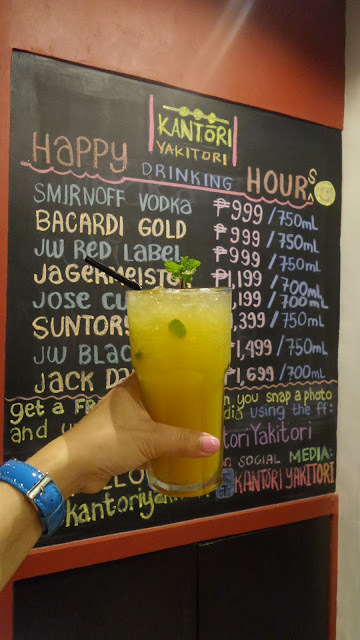 It's a mix of pale pilsen, mango rum with fresh mint leaves. 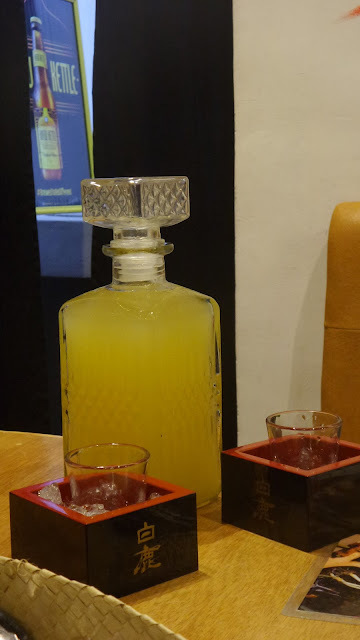 Sake-lovers can "kanpay" their night away with this bottle of Pineapple Infused Sake. As I've said, I'm not into alcoholic drinks (except for wines), as I was more anxious to check out their menu. We began with Sushi Fireball, a deconstructed version of sushi. Instead of the usual method of rolling the sushi rice, they played a bit with it by using kimchi rice and formed it into a ball then coating it with powdered panko. Inside is a surprise as after every bite a mixture of kewpie and cheese oozes out. 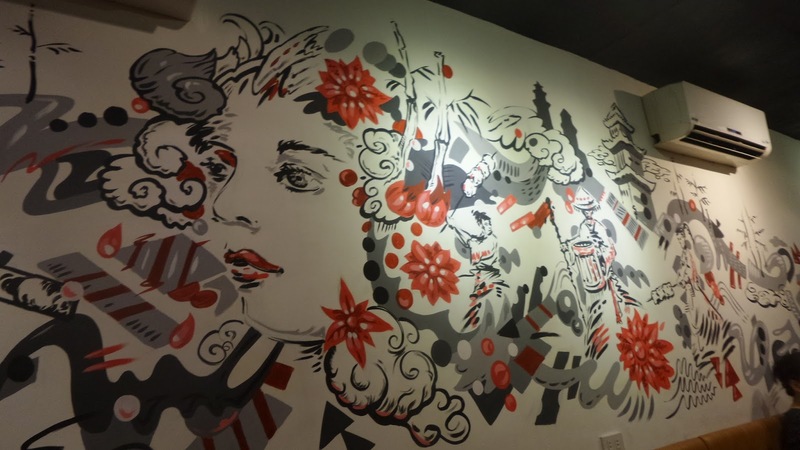 Creativity is the drive that fills up the resto's environ. Who wuld have thought of having French fries at a Japanese joint? 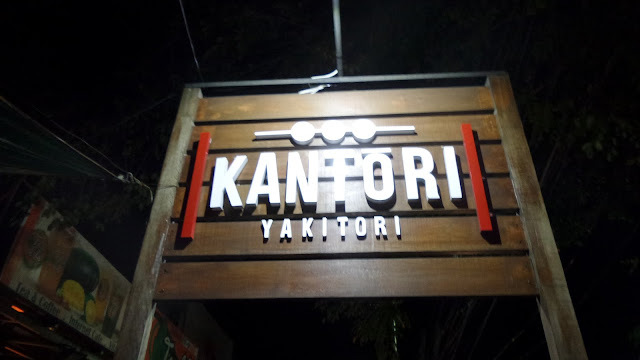 Well Kantori Yakitori, who else? 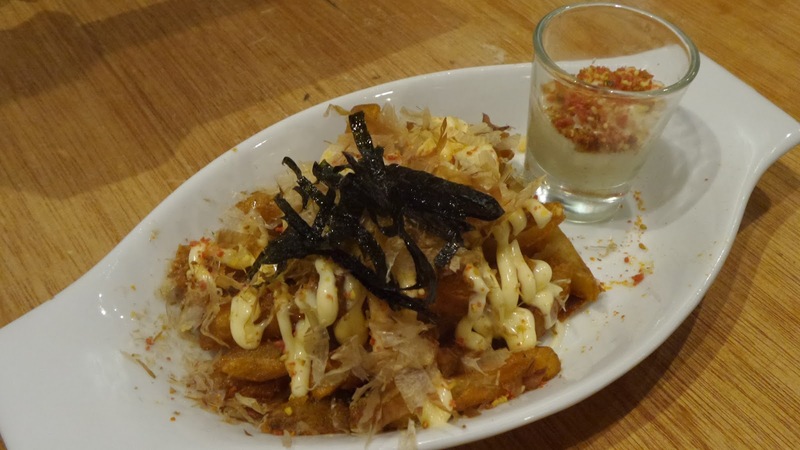 A crowd-pleaser to the diners, the plate of BFF or Best Furikake Fries, Home-made fries served with wasabi tartar, bonito flakes, nori and furikake. Furikake is a famous Japanese seasoning for rice, it has a lot of variations, though, I'm guessing they used the one with roe. 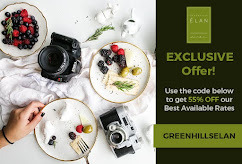 This is such a steal for P 98 and a barkada of 3 can share with it. Let me give you a high-five there! 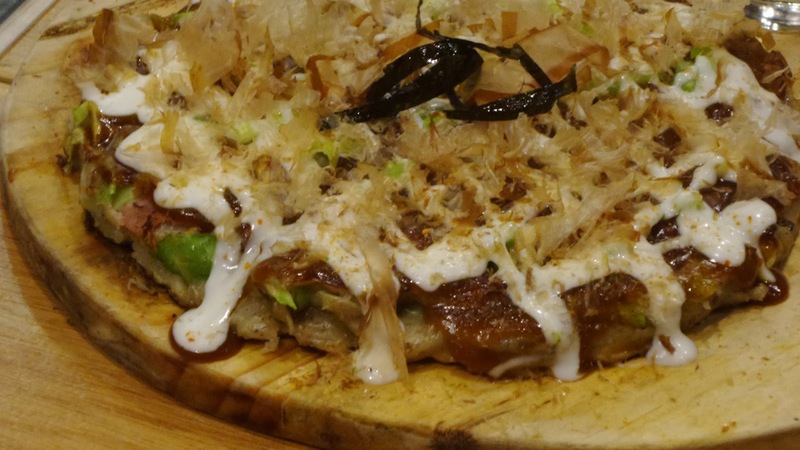 Can I say though that this is a modest take on Japanese pizza. Instead of the lavish octopus, they used bacon and added bell peppers, but flavored the same as any bona fide okonomiyaki. Another surprising plate came across me and it definitely looked weird. This is Shiro, intestines of pig if I'm not mistaken, stripped open and inning removed, marinated and grilled. 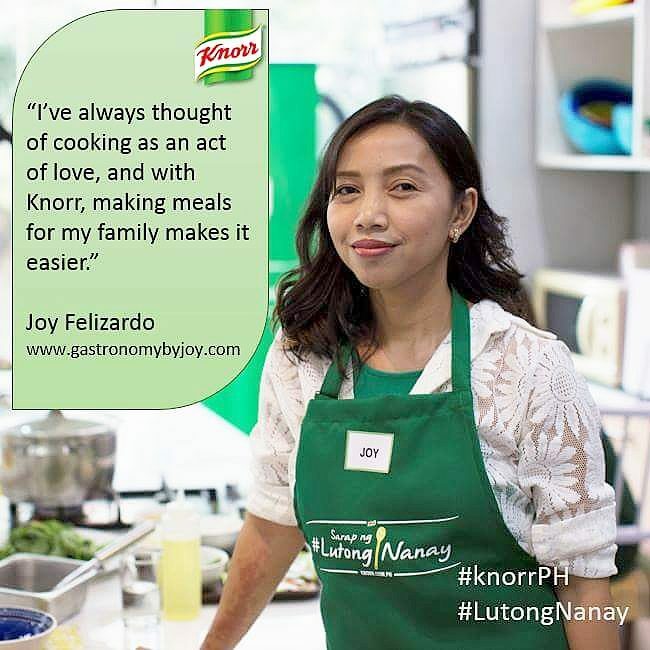 According to the Chef Kelly (one of the owners), the same concept was being used in Tambay Yakitori (along Poblacion) buy they contested that they had the idea already way before the said resto opened. I didn't also realize, until then, that an egg yolk gives quite a difference in the sauce when mixed. It definitely oomph up the taste of the innards when dipped into it. 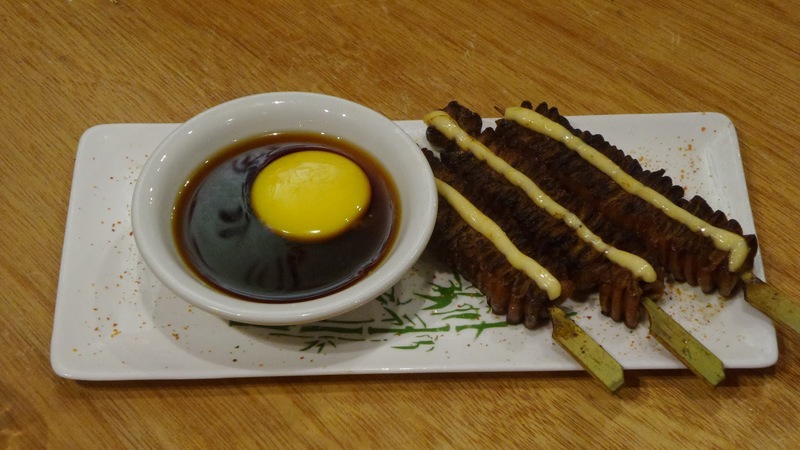 Clearly-defined, the Yummymono sampler is the highlight of the this dining experrience. 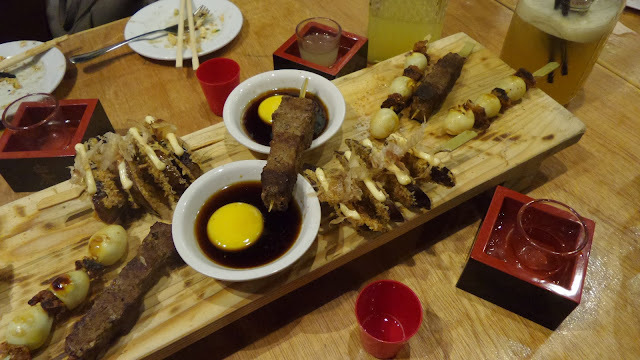 A huge wooden tray (which I'd love to bring home) carries some of the house' faves, UZURA, quail eggs and nice crispy chicken skin, just a little burnt but still flavorful. NASU, eggplant, karaage, tobiko, kewpie and bonito flakes crisp fried panko breaded, and SAIKORO BEEF. I'm dying to sink my teeth again on the Saikoro Steak. It's literally an Izakaya Japanese steak on a stick. 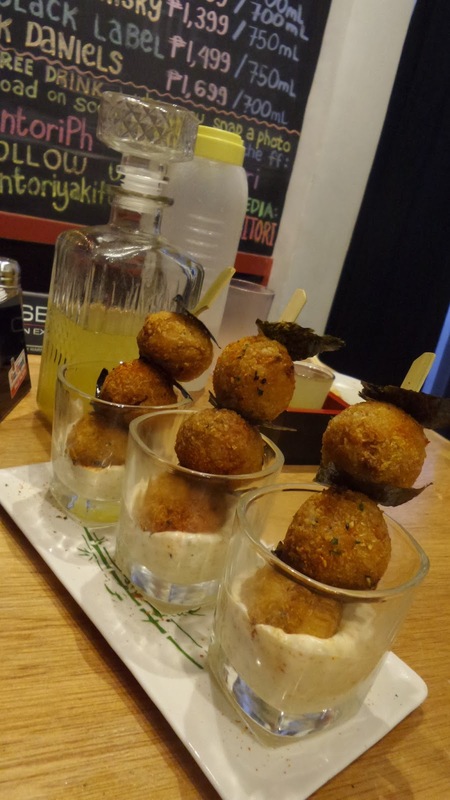 On second thought, saikoro means cubed, so the clever take on putting it on the stick made it look like a street food that's perfect for their liquors and cocktails. Note that they open at 5PM and closes daily at 2AM and they are close on Mondays. 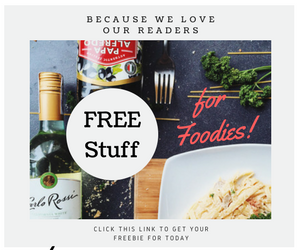 Thanks Aldous of www.aldousatetheworld.com for sharing your discovery to foodies like me.